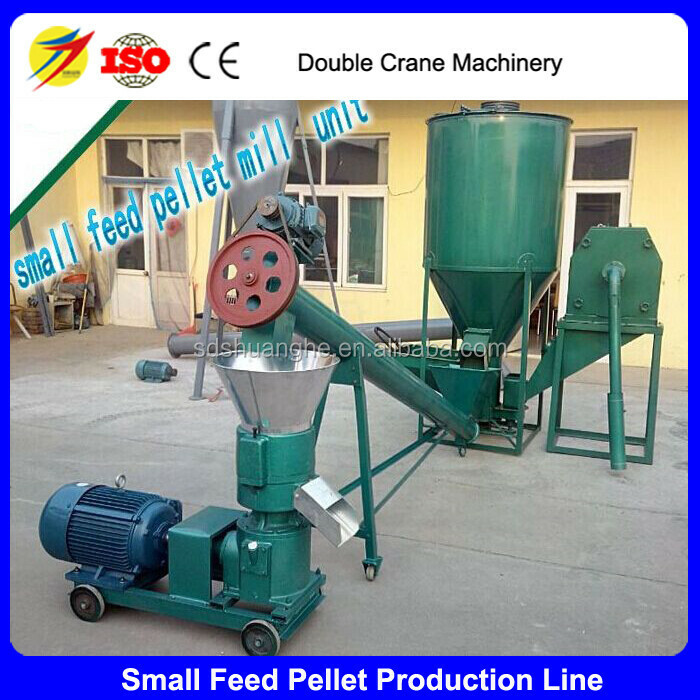 1.11 This fine animal feed pelletizing machine adopts the connection among universal joints, differential device and motor. When working, put the mixed powered pellets into hopper. Heating or wateringis not needed, as well as drying. When temperature comes to 70-80 degree, pellets will be sharped up by extrusion one time. Pellets processed are with smooth surface, moderate hardness and deep internal curing. 1.12 They can make starch gelatinize and protein coagulate and degenerate, which will improve nutritional value and digestive and absorptive capacity. In that way, the quality of the feed can be ensured and long-term storage can be accomplished. 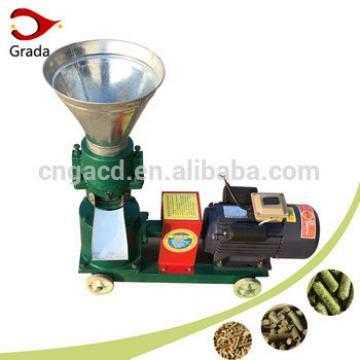 It can easily adjust the length of the pellets so that various addictive drugs can be added into this machine during the process of pellet feed, which will have a small amount of nutrient loss. 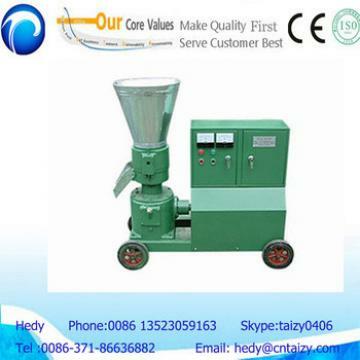 1.13 The pellets processed by this machine are with smooth surface, moderate hardness and deep internal curing. Pellets are dry in and dry out, which means that they will have a easier sealed storage. When temperature comes to 70-80 degree, They can kill those pathogenic microorganism and parasites, which can ensure the quality of the feed. This machine is suitable for rabbit, chicken, duck, goose, fish, pig and other aquatic products. 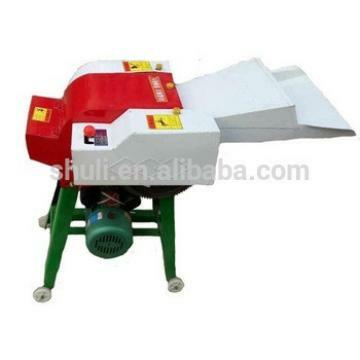 1.14 It is a small and medium-sized processing equipment which is specially designed for those specialized rural feeding households, small farms and rabbit warrens. It is also suitable for the processing of straw fuels, such as corn stalks, wheat straw, sesame, cotton stalks, peanut shells, rice husks, corn cobs, soybean pole, tree branches, sawdust and weeds. It can make the fullest use of natural resource, have good rigidity, perfect smoothness, long shelf life and standard degree of moistness. The fodder will be nearly cooked during the Processing which can greatly increase the proportion of take-in nutrition. And reduce the cytolysis time of fertilizers. 1. for single machine, it will cover plastic film and then packing into a plywood case. 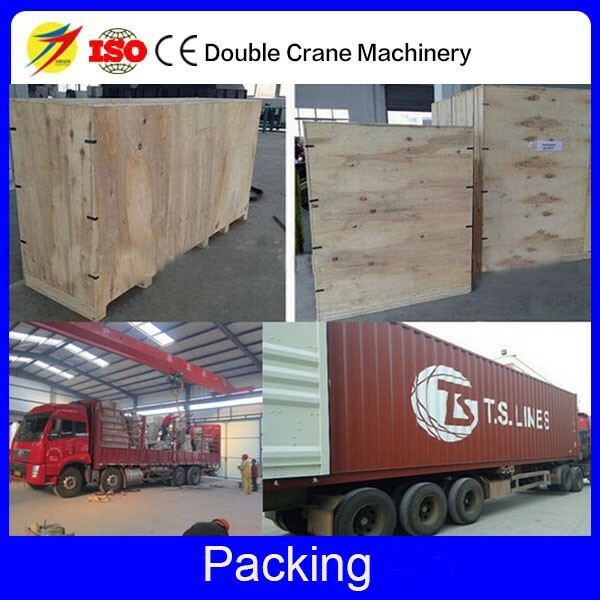 2.If by Container, the machine with plastic film will loading into container and then fixed. If you have special request,we will also pack machine as your request. 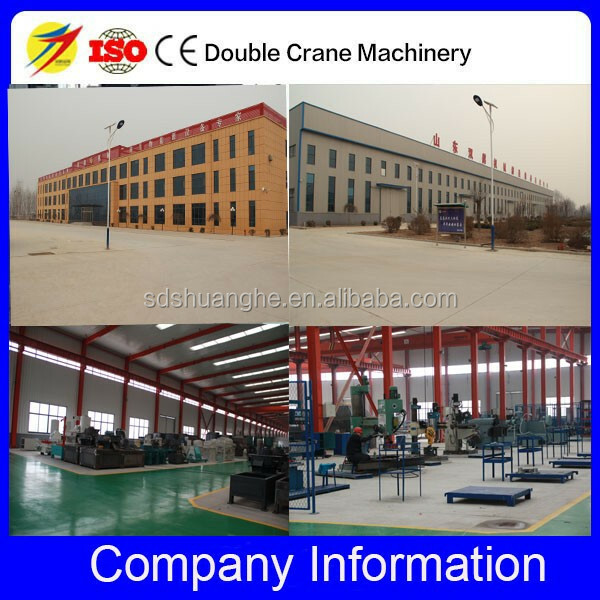 Shandong Double Crane Machinery Manufacturer Co., Ltd was found in 2005. It located in Leling town, Dezhou city, Shandong province. Our company is specialized in feed machine, grass machine, chemical machine and organic fertilizer production machine for more than 10 years. and independent innovation and first develop biomass briquetting complete set in China. 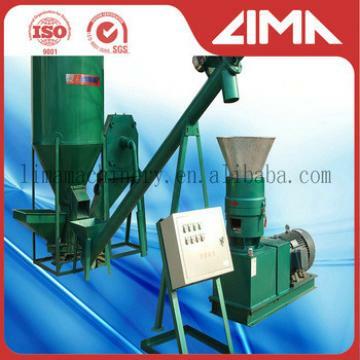 The main raw material is sawdust, straw, Grain, fiber. etc., In order to ensure the high quality product and make it meet different client requirement, Our company retain well known agricultural experts and skilled engineer to make more new designs and improve the product process. Our products enjoy extremely high reputation both at domestic market and abroad, such as in South Korea, Vietnam, Philippine,Thailand, Malaysia, Australia, Russia,America, Finland, Spain, Bulgaria,Africa and other countries and regions. A: We are top manufacturer which specialized in this feed machine field for more than 10 years and also high reputation in China.Our factory cover 67000m2 and annual sale is 60 million. 2. Q: The MOQ for your product. A:The MOQ for our product is 1 set. 3. Q: Do you provide the after-sale service? A: Yes. The warranty period of our machines is one year, (Calculated from the equipment arrives the customer’s side). and we have a professional after-sale service team to promptly and thoroughly solve your problems. 4. Q: Will you dispatch engineers to guide installation the plant? 5.Q: Do you provide product flow chart? A:Yes. Our experienced engineers are specialized in designing process flow for various project. 6. Q: Have you sold your products to Europe? A: Yes, We have designed and installed more than 1000 turnkey pellet lines. Many of our customers are from Europe, including Latvia, France, Grezece, Romania, Lithuania, etc. 7. Q: How can I get to your company? A: You can get a flight to Jinan Airport and We are just about 1hours away from Jinan Airport. Or you can flight to Beijing or Shanghai and then take the high-speed train (G-train). The nearest railway station is Dezhou East station. 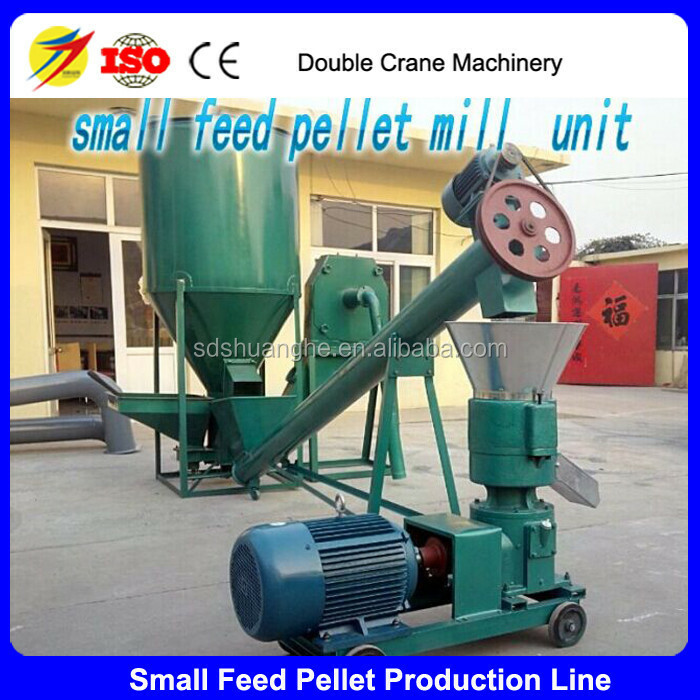 Our company is the top manufacture and will be the best choice in feed pellet series machine and wood pellet series machine .If you have any suggestion about our product,Please feel freely to inform me at any time.The best service will supply for us ASAP.Wish to get a chance to cooperate with you in Early days. 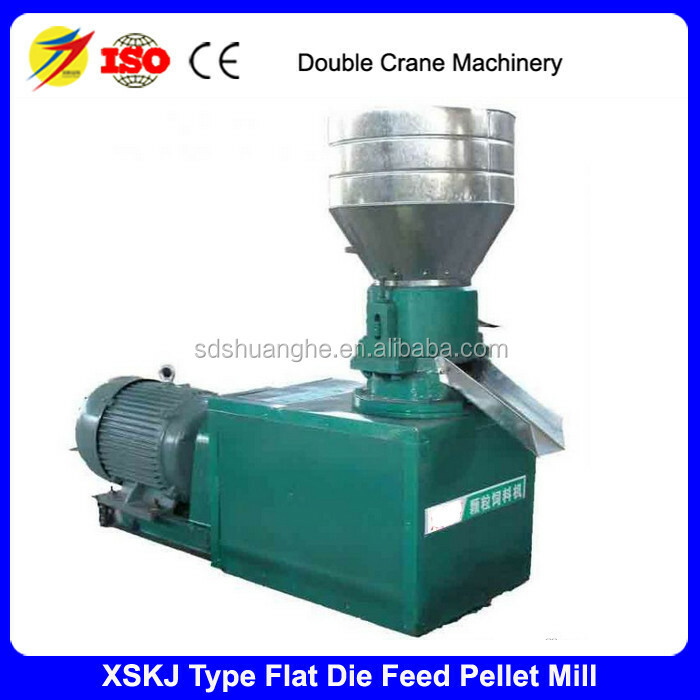 Flat die animal feed pellet mill machine pellet press machine for sale is suitable for foods such as casual products, soy products, meat, and aquatic products. is widely used in large, medium and small-sized fried food manufacturers, school canteens, and large-scale restaurants. 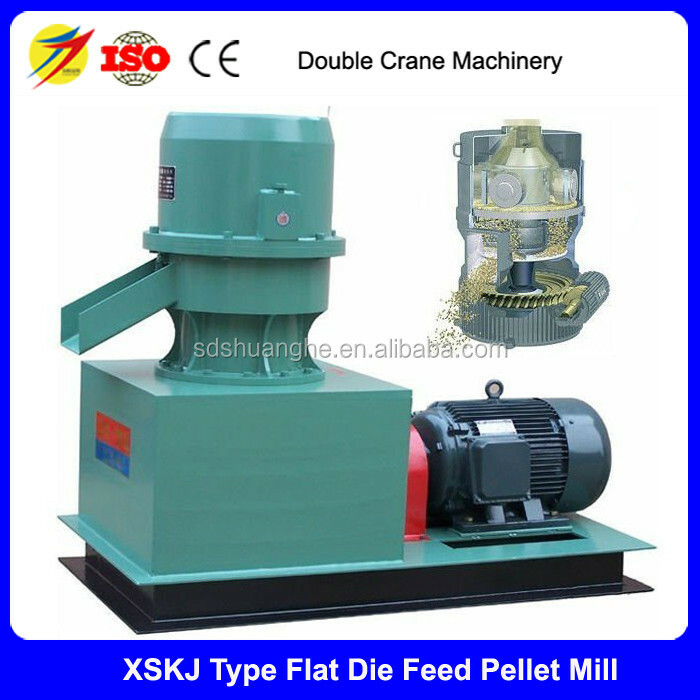 Flat die animal feed pellet mill machine pellet press machine for sale is the essence of absorbing the same kind of equipment, retaining the advantages of large-scale equipment for enrichment, and referencing the user's feedback information throughout the country for design and development.